• Sign up now, it's 100% free! Chat for free with Asian singles online today. Our web site offers unlimited access for you to search our personals ads and picture profiles. Plus send free messages and use of the live chat rooms. Making it easy for you, if looking to meet men or women online. We have many Asian Girls, seeking a relationship with foreign and Western men. Also many Asian women and men who are looking for a steady girlfriend or boyfriend. Or want to ultimately find someone for love and marriage. We have made the best of Asian Dating easy for you. Meet thai singles. View pictures and photos of beautiful thai women and men seeking marriage. Free Thai dating site with Thai Girls from all over Thailand. Make new friends online. Features filipina ladies looking for dating, love and romance. Women and girls from Philippines looking for marriage and friendship. Free Filipina online Dating. Chat with girls online, including Chinese Girls and Japanese Girls. Create your own 100% Free profile. And start meeting women seeking men online and make new friends. We have members who join from all Asian countries. Including Chinese Dating. You will also find many Christian Singles, looking to find a date or dating. With the Philippines being the number one country in Asia to meet Christian singles. We truly are an international site, catering also to Black and Asian Dating. Also our dating service attracts many senior members for dating. FindLoveAsia has had numerous successful relationships and marriage. 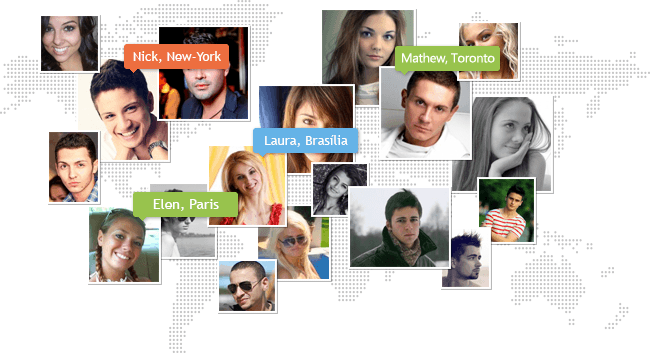 Connecting people from all over the world to find their true love. Featuring Asians of Cambodian, China, Chinese, Filipina, Hong Kong, Indian, Indonesian, Japan, Japanese, Korea, Korean, Laos, Malaysian, Philippines, Singapore, Taiwan, Taiwanese, Thailand, Thai and Vietnamese descent. We strive to provide only the best dating and chat services free for you.